North Kerry has a wealth of attractions to suit all ages and interests. 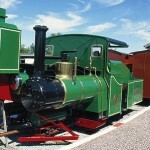 Kerry Model Railway is located in Blennerville, just outside Tralee town. 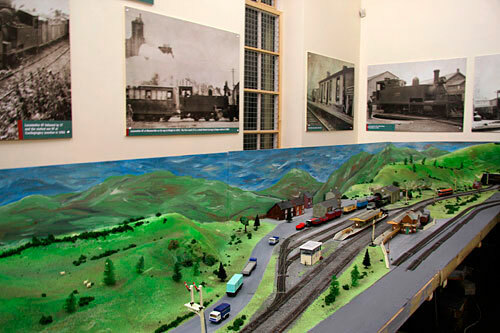 The main exhibit is the model of the Tralee Dingle Railway Line which ended 26/27 of June 1953.The Tralee to Dingle Rail Model was constructed by the Chester Model Railway society when they decided to build a narrow gauge model in 1992. This forms the centre piece of the model items and artefacts at the exhibit. 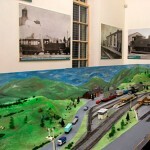 Kerry Model Railway showcases the railway history in Kerry. Construction on the rail line started in late 1888 and took three years to complete. The last part of the construction was from Blennerville to Tralee and the last lone locomotive ran on the 22nd July 1953 to Dingle. 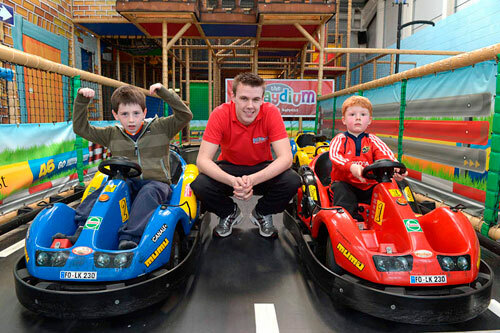 The Playdium, in Tralee, is Kerry’s largest indoor kids’ play centre. Facilities include large kid’s soft play centre, climbing frames, plastic ball pools, indoor slides, formula fun kiddie’s go-karting, tiny tot’s play area, café…and a few surprises guaranteed to keep the kids happy and entertained in a safe and secure play environment. Offering indoor play facilities for children from toddlers to 12 years, the Playdium has 4 age segregated play areas allowing children of all ages to play and socialise in comfort and safety. Our dedicated team will ensure that all children are allowed enjoy themselves to the full, whilst remaining safe and secure in this wonderful facility. For the safety and enjoyment of all, we have strict rules of behaviour and conduct, which we enforce. 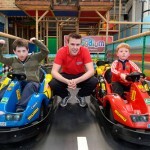 The Playdium is a great place for children’s parties too. Contact us to book a party your child will never forget! 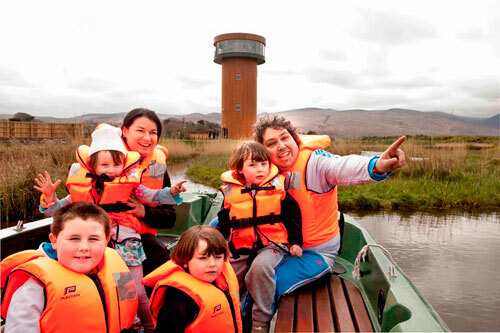 Tralee Bay Wetlands Centre is Kerry’s newest attraction. 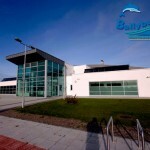 The project is unique in the South of Ireland and interweaves nature and eco-tourism, soft adventure and water based activities. The Centre has two zones. The Activity Zone includes a light watersports lake with pedalo boats, rowing boats and water walker zorbs are for hire. New for 2014 there will be a state-of-the-art climbing wall. 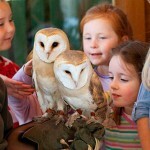 The Nature Zone offers visitors an indoor interactive wildlife exhibition (multilingual) with children’s area, a guided nature boat tour of the Wetlands Nature Reserve (15 mins, wheelchair friendly), a visit to the 20-metre viewing and observation tower (lift and stair access), and the popular nature board walk where there are a number of bird hides. 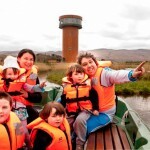 Tralee Bay Wetlands Centre promises a great day for all no matter what the weather. Kingdom Falconry offers you the unique opportunity to get up close and personal with a variety of our majestic and awe-inspiring birds of prey – hawks, falcons and owls. 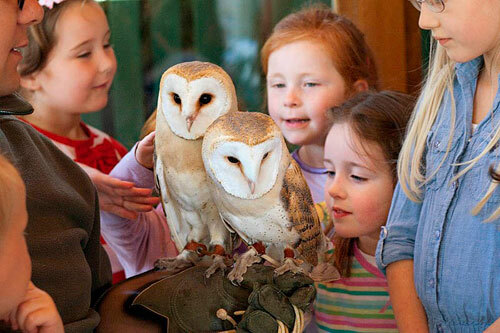 We aim to provide education and entertainment as we interact with these amazing birds of prey, giving you an appreciation of the wonder of the natural world and the place of birds of prey in the ecosystem. Watch our falcons fly and stoop to the lure with amazing dexterity and speed; watch our hawks glide in at close range and be amazed at the grace and soundless motion of our owls and their individual personalities. Learn fascinating and interesting facts about these raptors and the ancient art of falconry – a craft which goes back thousands of years and which has been recognised by UNESCO as part of our collective intangible cultural heritage. Enquiries for Kingdom Falconry can be made to Eric at the number below. Facebook: Kingdom Falconry – Ireland. 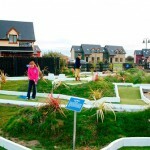 Ballybunion Crazy Golf is the newest family attraction in North Kerry. 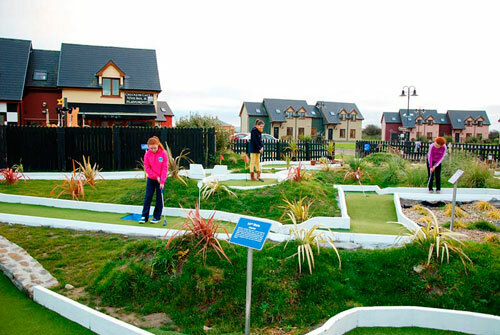 Located on the complex of Ballybunion Golf Holiday Homes, this is a fun-filled activity suitable for all age groups. The 18-hole course is a miniature version of Ballybunion’s world famous Old Course, complete with names and history at each hole. Well known Ballybunion landmarks are strategically placed around the course. Checker’s Café & Wine Bar is also on the site and during school holidays they run a kids’ cookery camp, Tuesday to Friday, 10am to 1pm. . The Crazy Golf is open 7 days a week in July and August, 10am-9pm, and at weekends during the rest of the year. Enquiries can be made to Padraig at 087 2723650. Please see advert for further details. 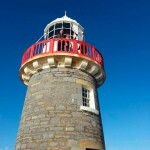 Fenit Lighthouse is situated within Tralee Bay, Fenit. The Little Samphire Island Lighthouse is now open for you to have a very different maritime experience. A short 20 minute boat trip through breathtaking scenery will bring you onto an island with fascinating history and lots to explore. 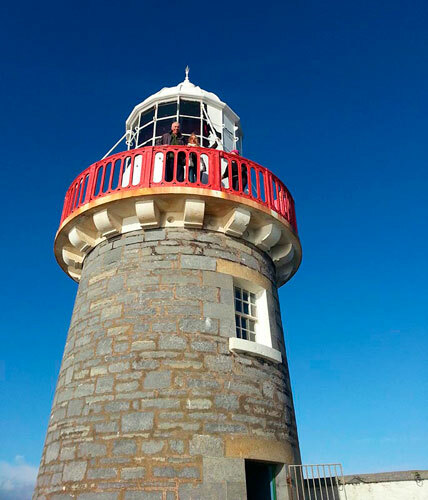 A tour guide will answer any questions about the lighthouse and the whole experience will undoubtedly make your trip to Fenit memorable (weather permitting and high season only). To make a booking contact the Harbour Reception Office for further information. 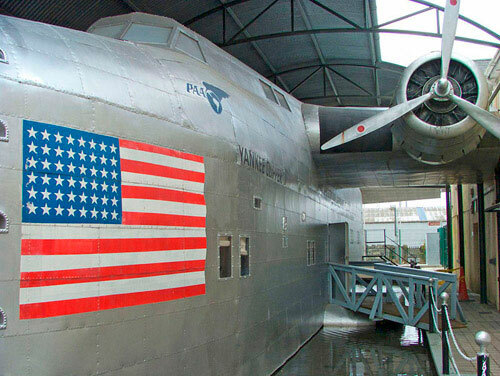 On July 9th 1939, Pan Am’s luxury Flying Boat, the “Yankee Clipper,” landed at Foynes. This was the first commercial passenger flight on a direct route from the USA to Europe. During the late 1930s and early 1940s, this quiet little town on the Shannon became the focal point for air traffic on the North Atlantic. 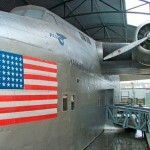 Now the “Yankee Clipper is back – our latest exhibit is the world’s only full scale replica of the Boeing 314, “Yankee Clipper.” You can travel back in time and see for yourself what it was like to be a passenger in one of these wonderful flying boats when you visit the Foynes Flying Boat and Maritime Museum! 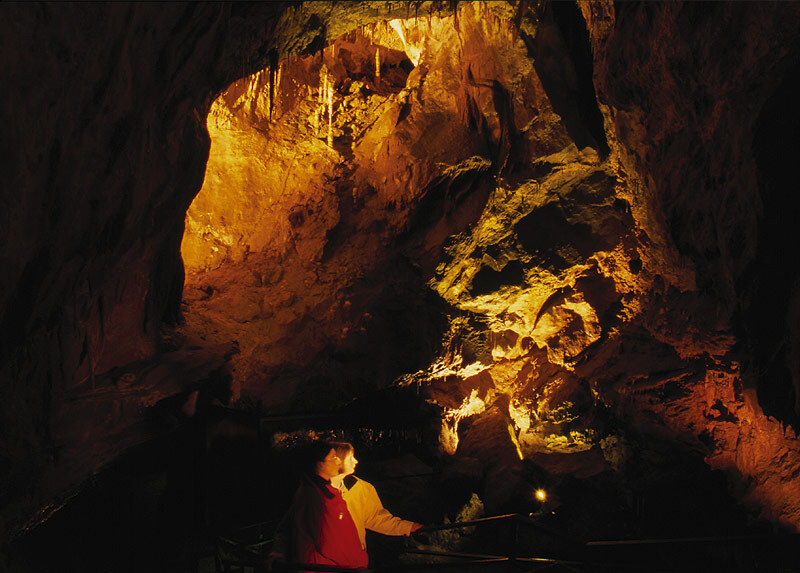 Discovered in 1983 and thought to be over 1 million years old, Crag Cave is a magical wonderland of stalagmites and stalactites. 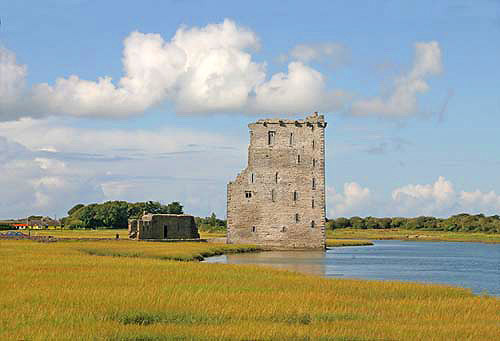 It is an all weather visitor attraction located in Castleisland Co. Kerry 2 km off the N21. Tour Times: 10:45am; 12pm; 2:30pm; 4pm & 5:30pm during January to May, and September to December. Tours are every half hour during June, July and August (Duration 40 minutes). The Crazy Cave Activity Centre is Co. Kerry’s number 1 house of fun. 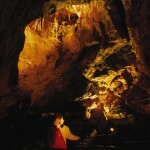 Located in the world famous Crag Cave Visitor Centre, Crazy Cave covers 2 floors and has a wide range of fun filled areas. An all weather location, Crazy Cave is ideal for children up to 12 years of age and is fun and healthy! While you are visiting, sample some delicious home-cooked food in our accredited Garden Restaurant. Fantastic daily specials board and Fiver Friday deals! The Crag Cave Visitor Centre, car park, souvenir shop, toilets, play area and restaurant are fully accessible. To access the Crag Cave Tour visitors are required to climb over 72 steps; therefore the attraction is not accessible for wheelchairs or prams/pushchair. 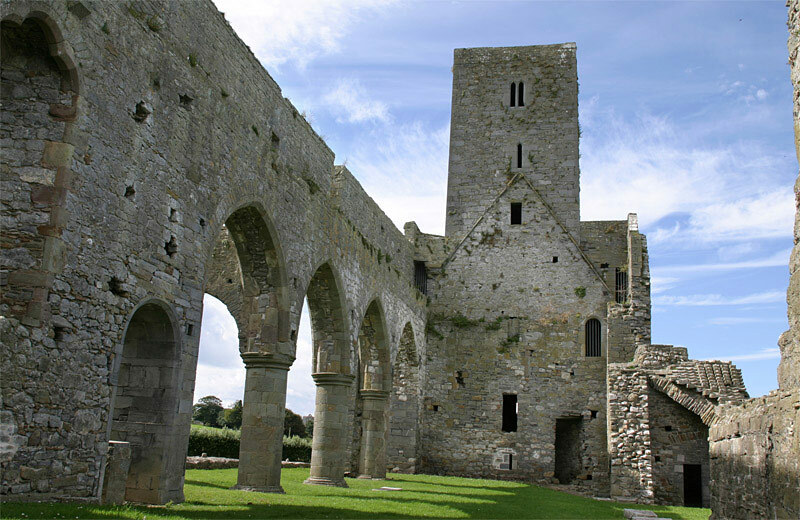 Ardfert Friary was founded about 1253 by the Anglo Norman Thomas Fitzmaurice, the first Lord of Kerry for the Franciscan Order and it has had a chequered history. 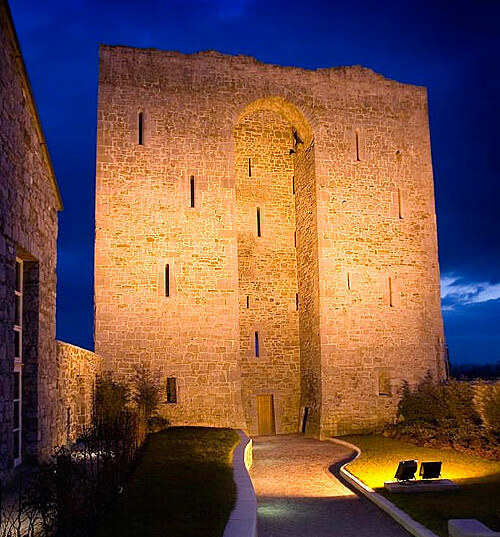 It was originally built as a Franciscan foundation but in the 16th century it was occupied by English soldiers and later by Protestant bishops. It is thought that it is built on the site of the ancient monastery of St Brendan himself which was destroyed by fire circa 1089. Thomas Fitzmaurice himself is bured in the north-east side of the high altar. The layout of the building follows the standard layout of most Franciscan friaries comprising a large church for both friars and the local population with a cloister and residential offices for the friars to the north of this church. A large portion of the structure still remains including one side of the cloister walk. A residential tower was added to the west end of the church in the 15th century. It contains five floors each with a single room, some with window seats and garderobes (toilets). Unfortunately the tower is not accessible to visitors. 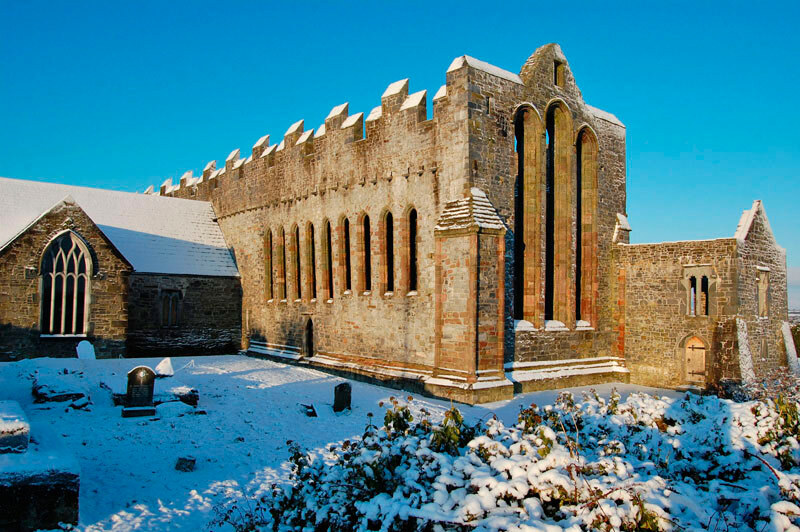 In the 17th century the Friary became absorbed into the estate of the Crosbie family, the local landlords in the Ardfert area, and became an ornament in the grounds of “the big house.” Ardfert Friary is an open site accessible to visitors year round. Access is on foot from a public car park, a walk of about 5 minutes. 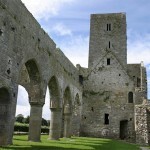 Ardfert Cathedral was once the ecclesiastical capital of Kerry and is a splendid 12th century ruin. A monastery was founded here by St. Brendan ‘The Navigator’ in the 6th century. There are three medieval churches, an ogham stone and a number of early Christian and medieval grave slabs on the site today. The earliest building is the cathedral which dates from the 12th to 17th centuries. It has a fine Romanesque west doorway, a magnificent 13th century east window and a spectacular row of nine lancets in the south wall. Two effigies of ecclesiastical figures of late 13th to early 14th century date are mounted on either side of the east window. 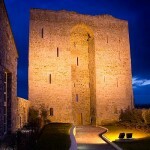 The battlements were added in the 15th century. The pre-12th century block of masonry is clearly visible in the north wall. One of the two smaller churches is a fine example of late Romanesque and the other is a plain 15th century structure with an interesting carving of a wyvern on one of the windows. Access for people with disabilities to exhibition area and viewing point. Opening Hours: 1st May – 1st October 2014 : Daily 10am – 6pm, Tour duration is 40 minutes. Following the move to its custom built premises in 1991, the company embraced the role of operating an Arts Centre. Now, in addition to its remit as the National Folk Theatre, Siamsa Tíre also hosts a wide variety of events throughout the year. Contemporary theatre, dance, classical music, comedy and literary events feature on a year round programme, as well as a vibrant visual arts line-up in the dedicated gallery spaces. 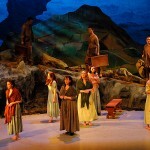 Siamsa Tíre also hosts activities by a large number of local amateur arts organisations. 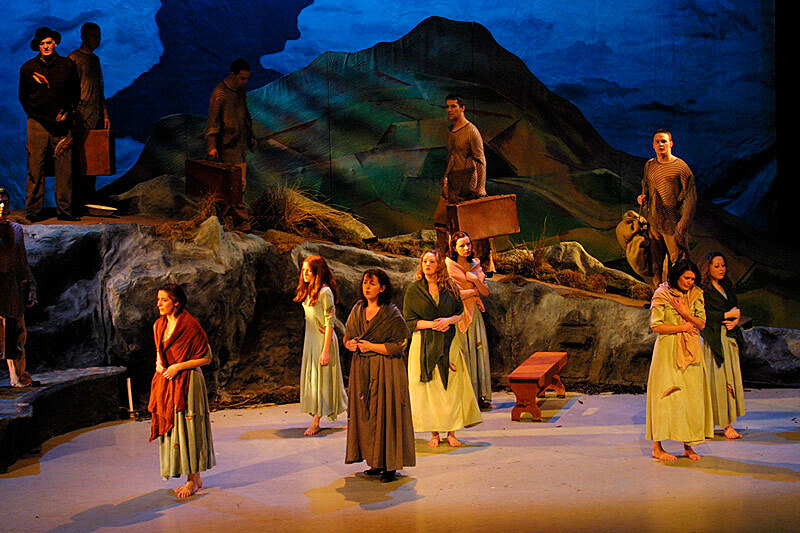 Siamsa Tíre continues to play a central role in Irish cultural life, regionally and nationally. Tours abroad over the past 40 years have also contributed to a growing international reputation for the company. 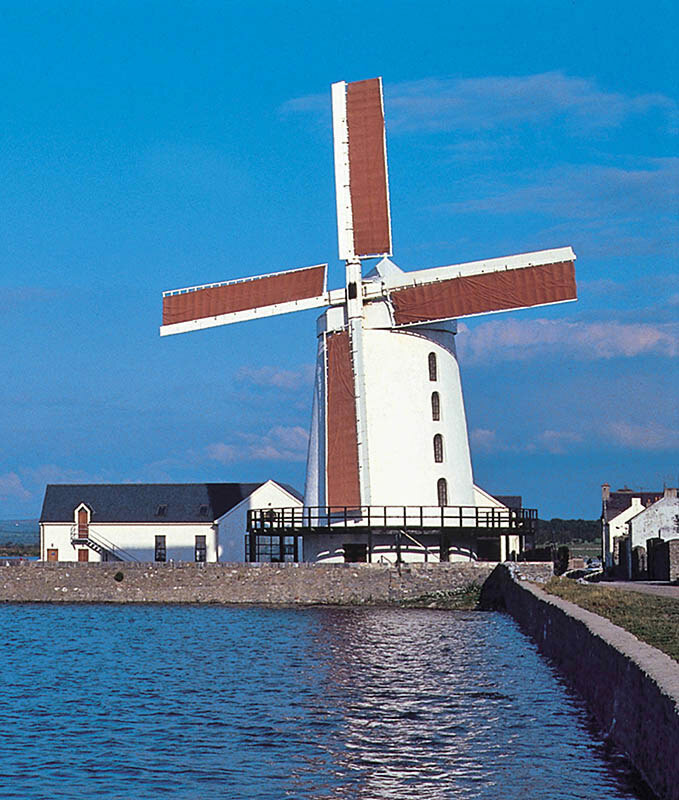 Climb to the top of Blennerville Windmill and experience the workings of a traditional windmill. The only power it needs is the wind! Once there is a breeze, the windmill sails are turning. Watch a film in our Audio-Visual Room and discover how the windmill was operated at the time of the Famine and how it was restored 20 years ago. See how the millers crushed grain to make flour over 150 years ago. Children can gain first hand experience of grinding their own wheat into flour while working the ‘Hand Kuerns’. Learn all about the famine and understand how locals were forced to immigrate on board the famous Jeanie Johnston. Complete your tip by visiting the special bird-watching platform and enjoy the panoramic views of Tralee Bay. 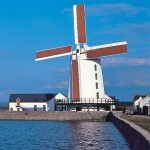 Blennerville Windmill is open 7 days a week from April to October. The Aqua Dome is one of Ireland’s largest indoor waterworlds and premier tourist attractions. It offers tropical temperatures all year round and is a great day out for all the family whatever the weather! The Aqua Dome is brimming with exciting features that capture the imagination of both children and adults alike. 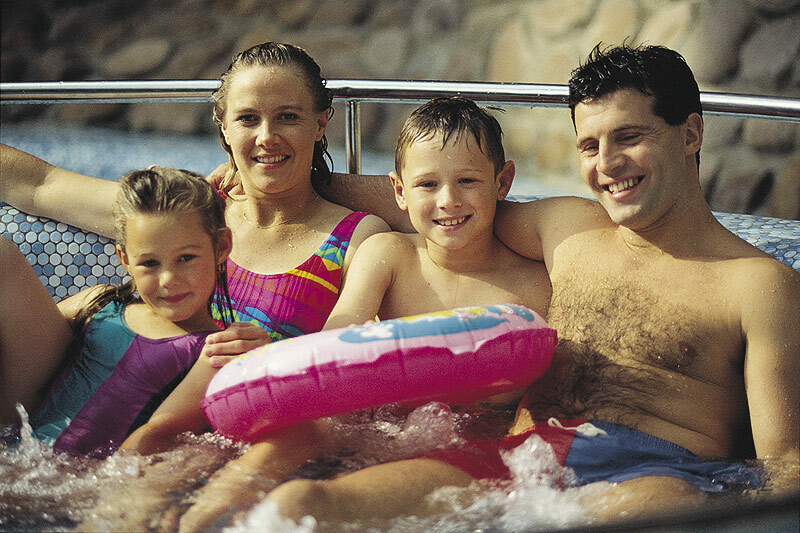 Some of these include: Swimming pool with realistic waves, a plunge down the outdoor Falling Rapids, whirlpool spas, a ride on the Sky High Flume, surfing waves and wrestling with River Rapids…just to name a few. The Aqua Dome is literally packed with features for the whole family to enjoy, young and old, swimmers and non-swimmers. All pool areas are patrolled by qualified lifeguards for your safety and enjoyment. Swimming hats are not compulsory. 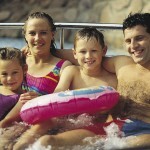 Also includes an Adult Only Health Suite, Remote Control Vehicles, Crazy Golf and outdoor slide and bungee trampolines. You are guaranteed to enjoy your day out with us! 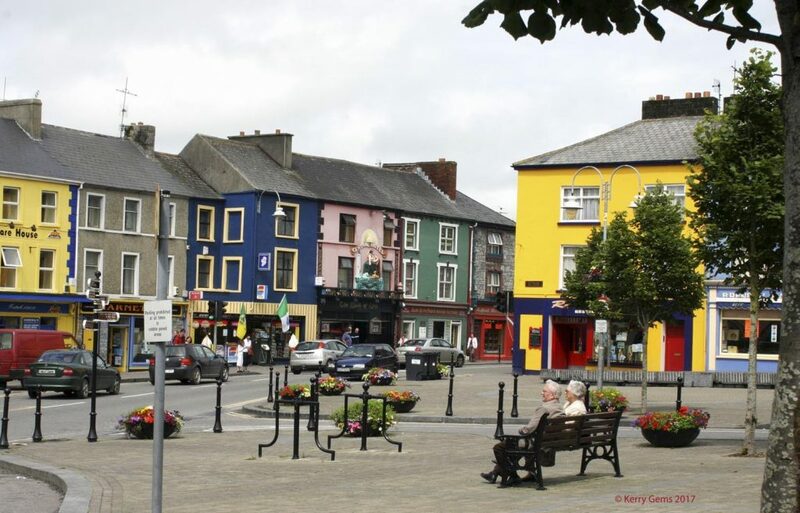 Listowel is a busy market town situated in the north of the county Kerry. It is the capital town of the region and makes an excellent destination to stay and to explore the rich historical architecture and amenity of nearby towns and villages. 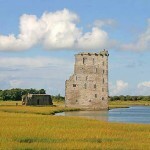 It is also a launch pad into west Clare and the west of Ireland with the Shannon Ferry just a 15 minute drive away. Listowel is designated both as a heritage town and a historic town meaning that it has a unique story as told though its streetscape, historical architecture, amenity and people. The town is characterised by its attractive square and Norman castle together with its brightly coloured streetscapes. The town park is as beautiful as it is extensive, incorporating woodland, playing pitches, the outstanding Garden of Europe and its Holocaust memorial and monumental tributes to writers Schiller and John B. Keane. The famine graveyard and highly interesting Lartigue Monorail both provide insights into the town’s historical journey. The river Feale flows though the town bringing its amenity for all to enjoy though fishing, kayaking and riverside walks. 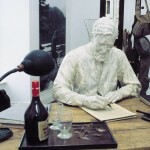 Listowel is notable for its writers both past and present; visit the Seanchaí Literary Centre, located in the heart of the town square, to learn all about famous writers from Listowel and their contributions to literature. Listowel is also a very pretty town and has the enviable distinction of winning Ireland’s Tidiest Small Town in 2015 and 2016. In the contemporary context, Listowel has developed a whole host of quality restaurants, bakeries and cafes. Its boutiques attract travellers from near and far. Its pub scene is vibrant and varied with live performances of drama and contemporary and traditional music delivered on a year round basis. 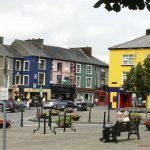 There are a whole host of treasures in Listowel making it a wonderful base from which to visit and enjoy the gems of nearby towns and villages. The Lartigue Monorail & Museum is a train trip with a difference. Experience a unique part of Ireland’s railway heritage. Your visit includes a short demonstration journey on a full-scale diesel-powered replica of the original monorail. During the journey you will experience the unique features of the monorail and will observe its ingenious switching system. 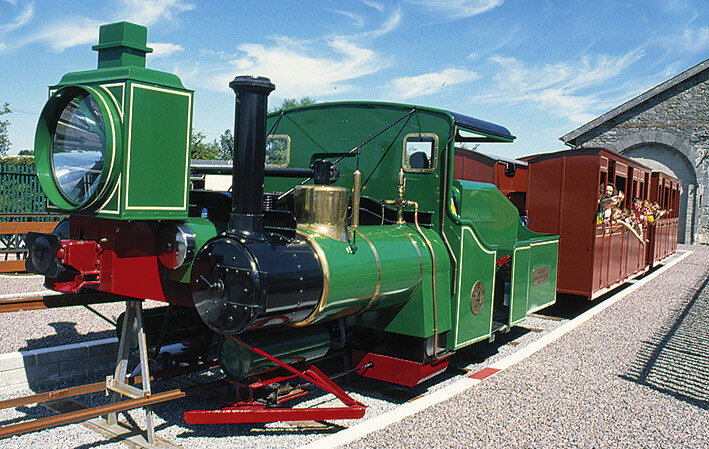 Before or after your journey, you can visit the Museum to watch film of the original Lartigue and see models, displays and memorabilia of the Lartigue and main-line railways. The friendly staff, consisting mainly of volunteers, will be on hand to provide information and answer your questions. Opening hours: Seasonal, 7 days May 3rd to September 13th 1pm to 4.30pm. Special opening for groups can be arranged. 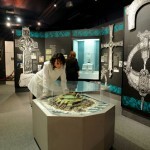 The Seanchaí – Kerry Writers Museum is a visitor attraction in the Heritage Town of Listowel which presents the works of the great Kerry writers in a unique audio-visual experience. 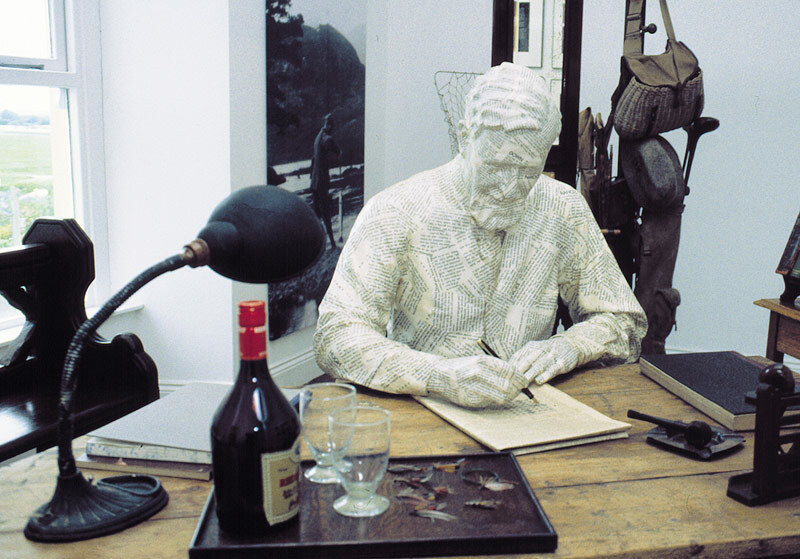 Located in a 19th century Georgian residence in Listowel’s magnificent Square, the Centre features five of the County Kerry’s most esteemed writers – John B. Keane, Bryan MacMahon, George Fitzmaurice, Brendan Kennelly and Maurice Walsh. Enjoy a cup of tea or coffee and freshly baked scones in our new ‘Tea Room’ just opened upstairs at the Seanchaí – Kerry Writers Museum. Located in a beautiful Georgian style room overlooking the Square, the ‘Tea Room’ is open Monday to Friday from 10 am to 1 pm. Opening hours: 23rd May – 28th August: Wed – Sunday 9:30am – 5:30pm with last admission 45 minutes before closing. The average length of visit is 1 hour and the tour is free. 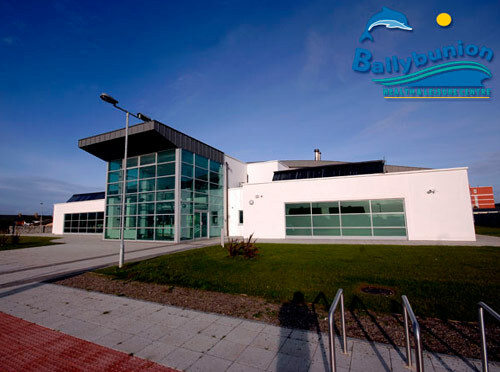 Ballybunion Health & Leisure Centre is a family orientated facility with an emphasis on enjoyment for both the young and the young at heart. Activities at the Centre include Aqua Aerobics, a Teen Gym, scuba diving and more. It has a heated 20m x 10m adult pool, children’s pool, toddler’s pool, sauna, jacuzzi and exercise rooms. There are also treatment rooms, an air conditioned gymnasium, aerobics room, jogging track and coffee/juice bar. There is a car park for patrons as well. The complex is open all year round and offers yearly and part-time membership. Access for wheelchair users to all areas, including lift. Kerry County Museum aims to collect, record, preserve, display and communicate material relating to the archaeological, historical and cultural heritage of County Kerry. The Museum began collecting in 1992 and now has over 4,000 objects in its own collection. 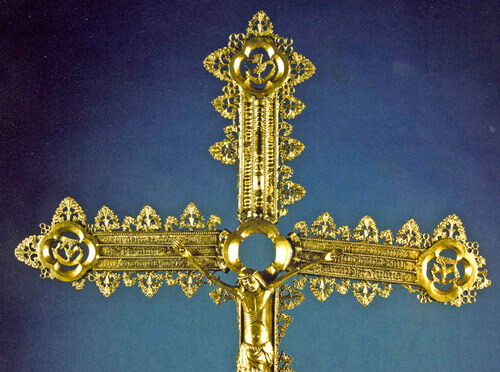 In 1999 Kerry County Museum received designated status which allows it to hold archaeological objects found in Co. Kerry on behalf of the State. You can report an archaeological find to us and we can provide advice on protecting our archaeological heritage. Kerry County Museum was one of the selected candidates for the 1994 European Museum of the Year Awards; in 1995 and 1997 we received special commendations in the Best Smaller Museum Category in the Museum of the Year Awards. In 2002 we won the Best Exhibition Award at the Museum of the Year Awards for the ‘Antarctica’ exhibition, displaying the life of Tom Crean. 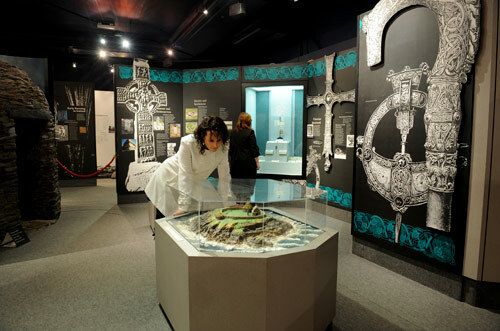 The Museum was praised by the judges for the imaginative and striking design, and the judges felt that the presentation, design, the success in raising the profile of a local hero, the links with surviving relatives (which ensured the protection of important artefacts) and broader contextualisation of Crean’s achievements made Kerry County Museum a model and worthy winner. Lislaughtin Abbey is located approximately one mile north of Ballylongford Village. In ruins now, it is a Franciscan Friary that was founded in 1475 by John O’Connor Kerry. The Friary is believed to have been built on the site of an earlier church dedicated to St. Lachtin of Muskerry who died in 622 AD. 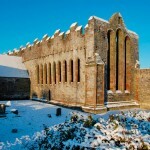 Up to the late 16th century, the Friary was one of the more important religious institutions in Kerry, so much so that a chapter of the Order was held there in 1507. After the dissolution of the monasteries by Henry VIII, it is evident that there were still monks at Lislaughtin. In 1580, the Abbey was besieged by the Elizabethan forces and three friars who had not fled were clubbed to death before the high alter. 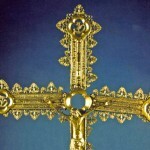 The Friars returned to the Abbey in 1629 before the Cromwellian wars brought this part of it’s history to an end. Lislaughtin Abbey consists of a long house divided into choir and nave – the collapsed square tower was over the choir arch. The windows are all pointed and of cut limestone. Recessed in the south wall is a triple sedilla, stone seats for the priests and ministers. The two storey building, which held the refectory and dormitory, was reached from the church by a door in the north wall. This building was lit by 30 windows. To the north east of this building is a structure which was probably the garderobe (toilet). In 1987 the Bridewell Project Group was formed with a view to retaining, restoring and developing this fine building. 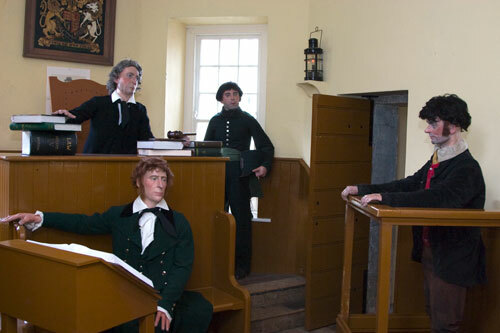 In 1993 the Bridewell opened as a Visitor Centre and features the entertaining and historically informative Exhibition which depicts rough justice in 19th Century Ireland. It also houses an exhibition on the life & works of Thomas McGreevy the famous Tarbert Poet. Tarbert Bridewell has a Coffee Shop & Gift Centre and hosts many events – Musical evenings – Weekly Whist Drive – Singing Classes – Art exhibitions to mention a few.